Another thing I LOVE about the Christmas season at actionchurch is honoring our great Sunday morning Crew. Every week, crew members arrive hours before everyone else, and leave long after everyone else has already moved on to chipotle or the pizza buffet. Every week, crew members actually miss attending the church service to welcome our guests or teach our children in actionkidz. Every week, crew members move thousands of pounds of equipment off the truck, unpack it, carry it up steep theater steps, lug it across enormous lobbies and endless hallways, pack it back up, roll it back out, and load it on a truck again. Every week crew members assemble, maintain, and sometimes repair a huge assortment of equipment from ancient electronics to the newest and best that apple has to offer. (Almost) Every week a crew member needs a bandaid…or an emergency gaffer tape pants repair. Every week, crew members plan sermons, edit presentations, post podcasts, and produce amazing art that brings the scriptures to life on the big screen. Every week, crew members greet our guests and regulars, and welcome them to the environment that would NOT exist without their hard work. EVERY week, rain or shine, in sickness and health, crew members produce and present actionchurch to our community. I’m looking forward to honoring all of these amazing people this Sunday at our annual crew appreciation party. 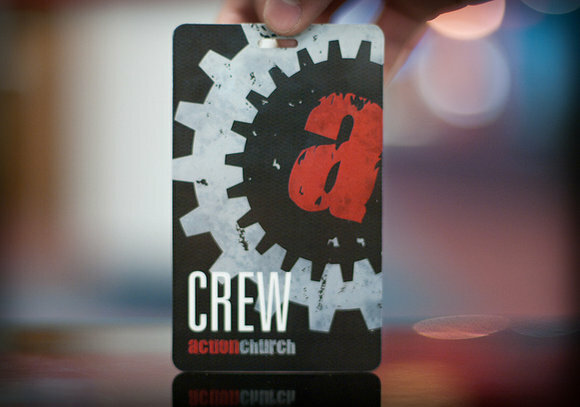 If you are part of the actionchurch crew, thank you…you are amazing…I hope to see you there. If you also appreciate what crew members do each week, I hope you’ll stop someone with a black tag and thank them! He’s been called many things because he wears many hats. Interviewing him like I have the other crew members would not have given his sarcasm and quick wit justice, so (his idea, not mine, even though I completely act like it’s mine) we recorded the interview live in his humble home in downtown York. Meet the man that produces the service every Sunday, does the service introduction, the ending announcements, sets-up, cleans-up, and keeps Pastor Don in line (or is it the other way around? ): Josiah Katz! 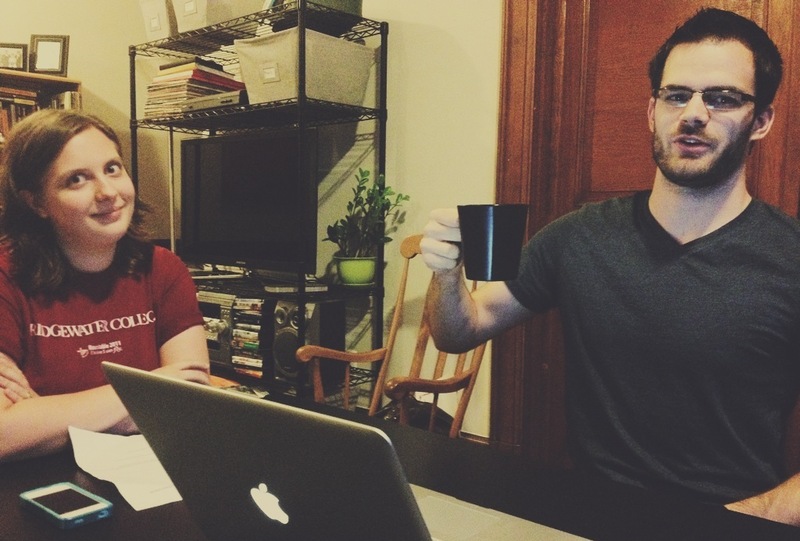 Ready for an actionchurch crew member interview like no other? If you tried to read a transcript of this interview, it would probably be completely misinterpreted because of the great amount of sarcasm and mischievousness. Download the podcast below for a quick listen today into the life of Josiah Katz. Special thanks to Rachel Katz for cooking up a fantastic dinner beforehand and putting up with Josiah and I throughout this interview. Thanks to Saj (Jason) Epperson, Kate Jones, and Jacki Smith for providing questions for this interview. I apologize for our bad jokes, sarcasm, inappropriateness, off-topic conversations, snide comments, my loud voice, my laugh, lies, and general awkwardness. He drives the truck. Enough said. Let me introduce you to Chris Phillips! What do you do here at actionchurch? Drive the truck, help unload, and load the truck. My dad’s the pastor. It’s a family thing, I guess. What is your favorite thing about actionchurch? What is your favorite band that plays at actionchurch? What do you do outside of actionchurch? Golf, fish, and go see a lot of bands. What is the most memorable moment you have of Pastor Don? Within the context of actionchurch: the bagged salad. 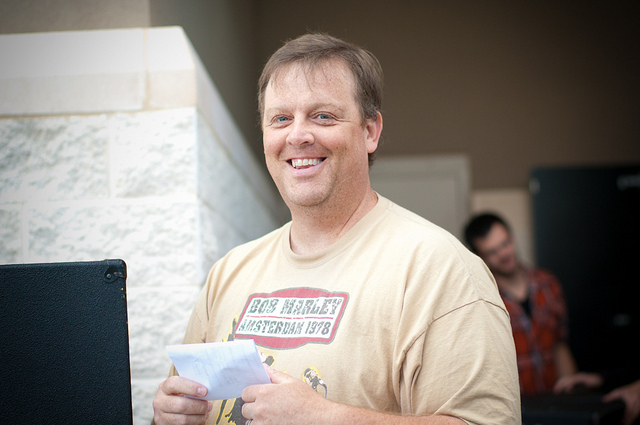 How has actionchurch changed you? Do you have a favorite scripture or some words of wisdom that you would like to share with the people of actionchurch? 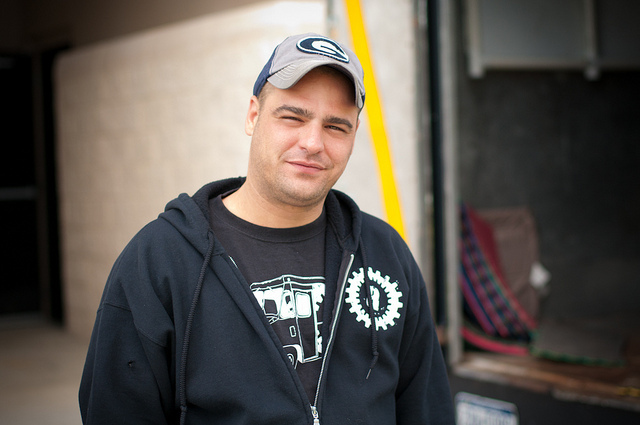 He is kind of quiet, but he is actually really approachable, which makes him the perfect fit on our hospitality team. Let me introduce you to Kyle Montgomery’s father, Charles Montgomery! I open the doors, greet people, help tear down, and load stuff in the truck. Saw the signs when we were going to a movie and we were looking for a church. So, Kyle and I started coming here. He has said twice about Cowboy Rub and that’s a little strange to me. It makes me feel good about the community and the church family since everyone is so authentic. 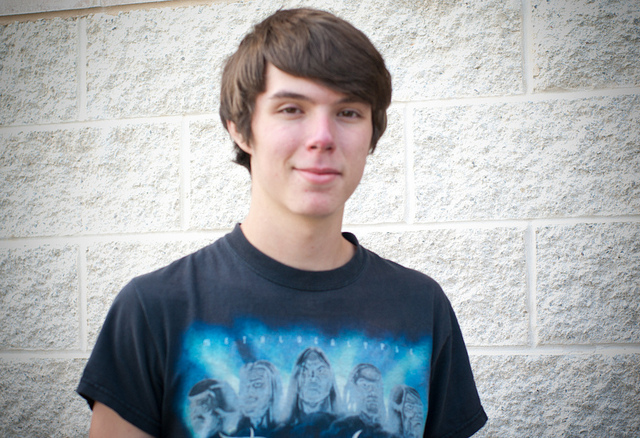 He likes to stay behind the scenes on the sound crew and his favorite band is Rush. Meet Ethan Lowe! Help set-up and tear down the P.A. system and sometimes run the sound. First started coming here with my old youth group leaders and since they were my ride home and helped tear down, I did too. Just the casual feel and how I can come in shorts and a t-shirt. Play guitar and go to concerts. I have 4 1/2 years of material to work with, but can’t think of any one moment in particular. Brought me closer in my faith. I don’t think I’d be a Christian if it wasn’t for actionchurch.